Last week brought about an unpleasant feeling of disappointment and sad disbelief. 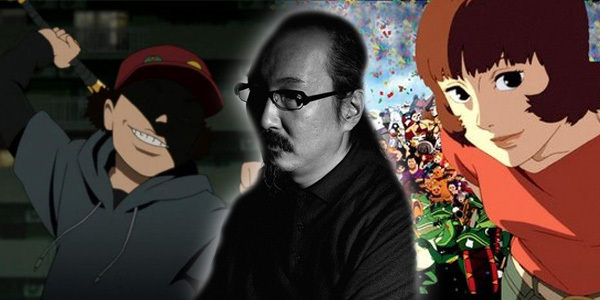 I was not in grief when I heard the news, because its not like I knew the man personally, nor in fact even knew what he looked like until it was announced, but when I heard the news of Satoshi Kon’s death, aged 46, I couldn’t help feeling we’ve lost a brilliant creative mind before their time was up. He was one of the most promising anime directors currently active, responsible for introducing me to the wonderful world of Japanese animation, and was yet to make a film anything less than mesmerising. I deeply admired his work and am genuinely gutted at the thought of never seeing what else may have come out of that extraordinary imagination. 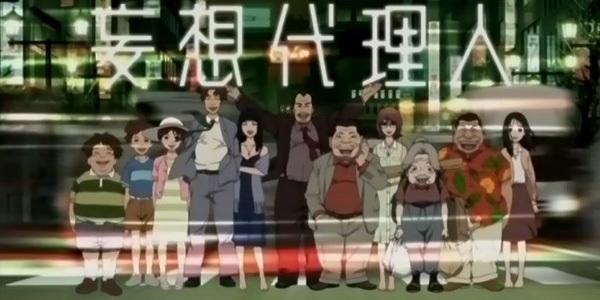 Paranoia Agent was the first anime I ever saw from beginning to end so it will always have a special place in my memory. Though I knew it was good at the time, it’s only years later during a weekend away with my mates, when in memory of the man we decided to marathon the entire series in one night, that I realised just how brilliant it is. Nothing that has come out between then and now has grabbed me the way Paranoia Agent did. Lil’ Slugger is one of the most intruiging, original, and towards the later episodes, scary manifestations of a villian I’ve ever seen. You’re never sure if he’s real or if the characters are losing their minds, and the mysterious nature of it all is what keeps you hooked. It’s a very thought-provoking show, and it brought to my attention the way people become infatuated with certain things that couldn’t be any less important, yet somehow still attract mammoth amounts of attention. It pokes fun at celebrity culture, for example, and questions the lengths at which we go to deceive ourselves about what makes us happy. Handled by another director, these conceptions would be downright depressing to watch, but Kon had the unique skill of making you think about some truly dark ideas while keeping you thoroughly entertained and eager to see more. Its incredible to think Paranoia Agent was the result of leftover imagination and ideas that he couldn’t work into his previous movies. He was a visionary, and his last film, Paprika, could easily have inspired Christopher Nolan’s Inception. Paprika explores the intruiging concept of entering people’s minds to manipulate their dreams. It’s more confusing than Inception because it doesn’t go into quite so much detail explaining the rules of how everything works, opting to leave the viewer to interpret a lot for themselves. Because of this, it arguably covers slightly deeper ground than the more action oriented Inception. That’s not to say Kon didn’t know how to direct an action scene. He totally knew how to get the most out of his art team and used animation to its strengths as a film-making tool. The dream parade in Paprika is one of the most beautifully animated creations in all of Kon’s work, not just for how visually stimulating it looks but for what it represents in the context of the film. Nearly all his work has some form of extraordinary motifs like this which wouldn’t have nearly the same effect if presented in a form other than animation. Describing his work in words doesn’t do it anywhere near the justice it deserves, so I’ve looked for a good example of what his films look like in motion. Below, is a trailer for Paprika which somebody made – they’ve blended it with the music from Inception, and it works really well. I urge anyone to check out Satoshi Kon’s work, whether you’re already a fan of anime looking for something different, or if you’ve just got a passing interest in clever, thought-provoking entertainment. If you like psychological thrillers it doesn’t get much better than Perfect Blue, or Paranoia Agent. His film Millenium Actress is a celebration of Japanese cinema, and follows the life of a woman through multiple time periods. Tokyo Godfathers was Kon’s twist of the traditional Christmas tale, specifically focusing on three homeless people who adopt an abandoned baby. Paprika is one of those films that could very well blow your mind. And The Dream Machine, the film Satoshi Kon was working on when he died, will hopefully continue being developed and released in spite of the tragic loss the development team have now suffered. There’s many brilliant minds that I’ve been exposed to from the world of anime, but Satoshi Kon inhabited his own little corner of this industry and I’m positive we were yet to see his magnum opus. This thought saddens me greatly. In contrast to what I said about grief at the start of this post, I’ve just almost been brought to tears after reading a translation of a letter that Satoshi Kon wrote quite literally on his deathbed. It is one of the most heartbreaking things I’ve ever read. Read Satoshi Kon’s last words here. Rest in peace, sir. This entry was posted in Thoughts and tagged anime, RIP, satoshi kon. Bookmark the permalink.